Paul Carroll is an independent consultant specialising in securities financing. Between 1987 and 1999, after two years in Settlements, Paul worked on the Repo Desk at Morgan Stanley in New York, becoming Vice President in 1995. In this position, he traded Governments, Agencies, Mortgages and Corporates, both GC and specials. A public speaking mentor with Toastmasters International, Paul is their current champion in Impromptu Speaking for the UK and Ireland. James works at Scottish Widows Investment Partnership, where he manages a UK equity long-short fund and a long-only fund. Previously, James was at the University of Edinburgh for four years, conducting research into stock lending and short-selling. He also set up and ran their Masters programme in Finance and Investment. Prior to this, James worked at Murray Johnstone International, where he was Head of Asset Allocation, and at Aberdeen Asset Management, where he was Head of Global Equities. James graduated with a BSc (Hons) in Mathematics and Statistics and a PhD in Indirect Short-selling Constraints, both from the University of Edinburgh. He is also a Chartered Financial Analyst. Antony Cure has over 15+ years work experience working in capital markets in operations as a middle office manager/collateral manager supporting fixed income and OTC derivatives front office business lines in leading investment banks both in the US and UK. With extensive middle office and collateral management experience, he has held senior operations VP positions at Lehman Brothers, Credit Suisse and JPMorgan. Antony is highly regarded in the collateral management industry as a collateral management practitioner based on his experience working in operations, vendor space, consulting space and custody space. His professional career has taken him all over the globe residing in Hong Kong, Paris, Los Angeles, Melbourne, New York, Bahrain and London. Paul has provided major banks, financial institutions, corporations and governement departments with consultancy on aspects of financial product design, new financial innovations, risk management and software engineering. He also taught numerous public and in-house training courses, including risk management, credit derivatives , commodities markets, bonds and fixed income, derivatives and quantitative analysis. He also guest lectures at many top Universities and Business Schools around the world. Paul is currently involved in the design, development and implementation of dynamic portfolio optimisation models and innovative investment strategies for several private equity clients and hedge funds. Bill has held a number of senior roles at some of the biggest names in the Banking industry and brings a wealth of experience acquired over his 25 years in Financial Markets. Having run successful Securities Finance trading desks at SG Warburg and ABN AMRO Bank NV he then moved into the Global Custody/Investor Services industry first at JP Morgan and most recently RBC where he occupied senior Sales and Relationship Management roles. Bill is an innovative and creative thinker, able to quickly understand a client's needs and use his knowledge and experience to determine and then deliver the most appropriate solution. An expert in Securities Finance, Foreign Exchange, Cash Management and Sales solutions, Bill has contributed articles and opinion to many industry publications and has also written a number of Thought Leadership pieces for clients. Ted Hall has over 30 years experience in the Financial markets. He has a degree in Banking and Finance, and both Banking and Securities industry qualifications. He started his career in commercial branch banking, but then moved into investment banking. Having spent time in operational and front office roles in the securities business he moved into the Global Custody business, where he remained for over 15 years. Ted was involved in various industry initiatives, including CREST, and had a role on the OMGEO European steering committee, and Custodian Bank working party. Recently he has worked directly for FinTuition in a sales and marketing role. Walter Kraushaar was global co-head of Short-Term Products Principal Trading and managing director at Dresdner Kleinwort Wasserstein until 2005. There he was responsible for expanding the bank's Securities Financing and Prime Brokerage business. He joined DrKW in 1998 as head of Equity Finance and product head for Prime Brokerage, including stock lending and borrowing, equity repo, equity swaps and CFDs. Between 1996 and 1998, he held managerial positions in the areas of securities lending and equity finance at Deutsche Morgan Grenfell in London and at Sal Oppenheim Jr & Cie in Frankfurt. He studied at the Frankfurt Academy of Banking and started his professional career in 1992 at Deutsche Bank, Frankfurt. Walter is a member of the German Repo/Securities Lending Committee (ACI). He is now managing director and head of short-term products at Dekabank, is set to become head of securities finance at Maple Bank from 1st October 2010. 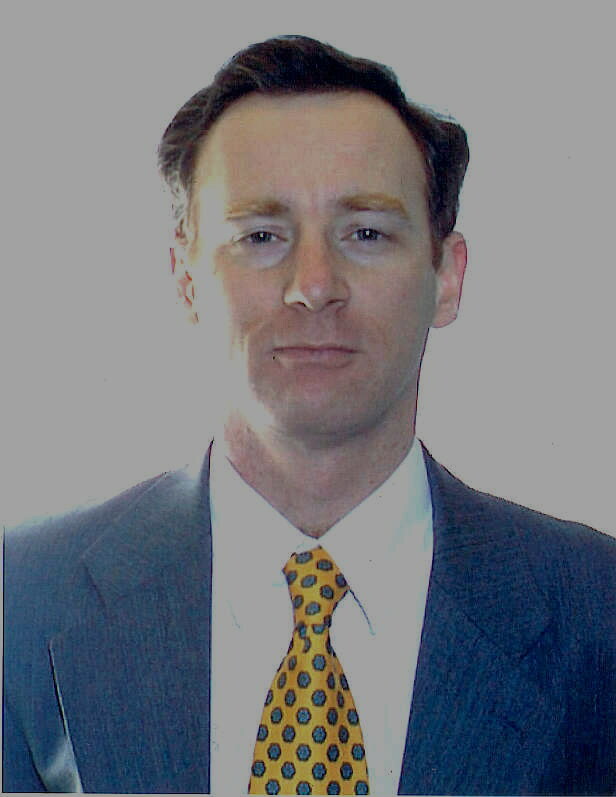 Bruce Lawrence, has over 35 year?s securities industry experience, provides consultancy, training and technical assistance principally focused at the securities servicing arena and the development of the capital markets infrastructure of Emerging Markets. He has consulted on the full spectrum of securities markets instruments (debt, equity & derivatives), Corporate Governance, Operational Risk, Custody Clearing & Settlement, Fund Management & Administration and assisted in the creation and further development of Central Securities Depositories (CSD?s) and Stock Exchanges. He has held the position of Managing Director of Zenith Pensions Custodian Limited in Lagos, Director of Credit Suisse First Boston in Moscow, The Chase Manhattan Bank in Moscow and London and for JP Morgan, London. Bruce is a highly regarded trainer and presenter and had delivered both in-house and public training courses in many different locations around the world. Marc started his career in corporate treasury, first as a money market dealer at investment group 3i, followed by Morgan Stanley as a liquidity and capital planning analyst. Hired by Dresdner Kleinwort in 2000, Marc began his time as a trader in the equity finance market. He was posted to the firm's New York office in 2003 and spent four years developing their equity finance business in the USA and Canada. Following the takeover by Commerzbank, Marc was promoted to managing director and led the team's trading expertise in corporate action arbitrage until 2011. Marc now brokers equity finance flow for BGC Partners in London. He holds an honours degree from the University of East Anglia in philosophy, politics, and economics. 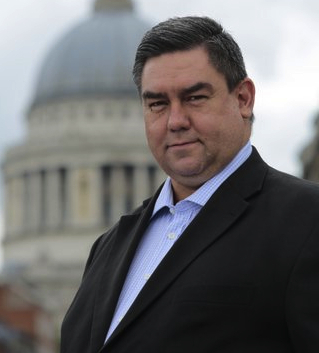 Ian Morley is Chairman of Corazon Capital Limited, an Asset Management Company and Director of Dawnay Day Quantum. He was formerly Head of Derivatives and Quantitative Fund Management at AIB Govett, Managing Director of Rudolf Wolff Fund Management and European Director of Managed Futures at Lehman Brothers. Ian was the founding Chairman of The Alternative Investment Management Association (AIMA). He has advised the Bank of England, the Central Bank of Ireland, the OECD, the EU, the FSA and other international institutions about the Hedge Fund industry. Ian graduated with a BSc Economics (Hons) from the LSE. He appears regularly on television, radio and conferences throughout the world and his articles are frequently published in leading financial journals. His hobbies include marathon running, weight training, dancing, boating, football, philanthropy and community theatre. He lives in London with a dog, cat and sometimes his children. 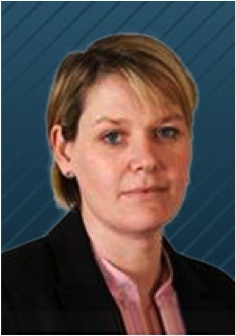 Sarah worked at Aviva Investors for over 20 years in securities finance and was the Global Director of Securities Finance. In this role Sarah helped develop the business in Europe, US and Asia, incorporating all elements of financing and collateral management. Specialising in business strategy, regulatory issues and Sarah is now a partner in a specialist securities finance consultancy firm helping participants maximise returns and minimise risks and. Sarah also works with ISLA on regulatory issues and. holds the Securities Institute Investment Management Certificate. Gabriel Padilla has an extensive knowledge of the international securities business and the Spanish financial market. He has over 20 years international experience in finance covering business development, relationship management, sales, trading, project management, clearing settlements and custody across different asset classes. Gabriel created SecFin Consulting in July 2008, to work as an independent consultant, advising local banks and brokers in Spain in the securities services industry and offering training in all areas of the business. Prior to this, he was Head of Securities Finance at Banco Santander, based in Madrid, from 2001 to July 2008. He previously worked in the US, Latin America and through-out Europe for a number of entities, including The Chase Manhattan Bank & Santander Investment. In a broad based career spanning 35 years in financial services Mark Tidy was most recently Managing Director and Head of EMEA Agent Lending Sales at J.P Morgan. He started his career in retail banking with Nat West and in 1986 moved into the world of global custody with The Chase Manhattan Bank. In 1994 he entered the securities lending arena at Nomura International plc where he was Head of Securities Financing, London and Hong Kong, Deutsche Bank where he was Head of EMEA Securities Lending Sales for EMEA Prime Services and BNY Mellon where he was Managing Director and Head of EMEA Securities Lending Business and Product Development. Fred Vacelet is an international Financial Risk Management Consultant with an expertise in Risk Management methodological frameworks for credit risk, market risk and operational risk, and compliance with risk regulations. His experience spans some 20 years, advising banks and others on risk management. His client list includes ABN Amro, Barclays, Reuters, Credit Suisse and numerous other institutions. Fred holds various degrees, including from London Business School, with post-graduate studies at the Technische Universitaet (West)-Berlin and Keio University (Japan). He also holds both the PRM and FRM Risk Management Qualifications. He is a published author on risk management and Basel Accords and stress-testing, and a regular speaker at conferences. 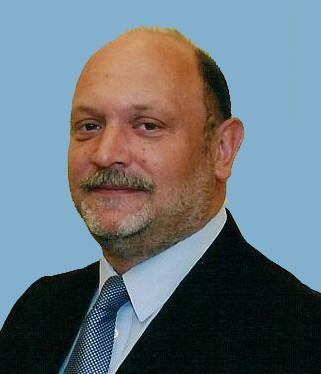 Roy Zimmerhansl is a securities finance expert with over 35 years experience. Roy has held senior positions across a variety of market leading organisations including agent lenders, fintech companies, proprietary trading firms, prime brokers and a central depository, most recently leading HSBC through a business transformation. A uniquely experienced practitioner, Roy is a recognised securities lending industry leader, commentator and regular contributor to a wide range of publications and conferences. He has served as an expert witness for several legal cases in both the UK and US.